There is a legal battle brewing over two Florida teenagers who were lost at sea following a boat accident, according to an article by WPTV. After stormy conditions swept away the teenagers, the boat was eventually recovered in the Bahamas. But neither teenager’s body was ever recovered. The families of both teenagers are currently engaged in a heated legal battle over liability. The family that owned the boat filed a federal lawsuit against the other family, relying on an old maritime law, the Limitation of Shipowners’ Liability Act with roots dating back to 1851. 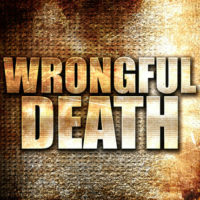 The Limitation of Liability Act includes a provision for an injunction, which would prevent the other family from pursuing a lawsuit for wrongful death in Florida state courts. The maritime law in question protects boat owners from liability for accidents. Essentially, if the Act applies, a boat owner can only be liable for damages up to the value of the boat after the accident. The boat in the present situation has a salvage value of $500. Consequently, the Limitation of Liability Act could limit the boat owner’s liability to $500 or less. But there is a key exception to this maritime law concerning negligence. If it can be shown that the boat owner was involved with or caused the accident, then the limit on liability disappears. Stated otherwise, boat owners cannot use this maritime law to escape liability for their own negligence. In terms of the present case, the Florida Department of Law Enforcement (FDLE) conducted an investigation into the boat accident. The FDLE declined to charge any party with criminal conduct. But the FDLE did determine that the boat-owning family acted in a negligent fashion. The other family hopes to use the FDLE investigation in court to help prove negligence and overcome the limitation in maritime law. Overall, this case will likely hinge on whether it can be proved that the boat-owning family acted negligently – playing a role in or having caused the accident – then the limitation of maritime law will not apply. Alternatively, if the boat-owning family is cleared of any negligence charges, then existing maritime law will limit the other family’s recovery to a maximum of $500. With such complex historical roots, it can be difficult to understand the intricacies of maritime and admiralty law. Without a clear set of rules and responsibilities, it is paramount to consult with an experienced admiralty and maritime lawyer. Otherwise, you risk charting an improper course of action which can hurt your ability to recover under the law. 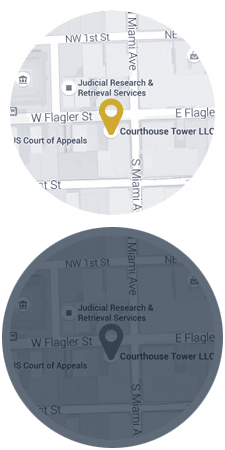 Based in Miami, Florida, the Law Offices of Michael F. Guilford, P.A. specialize in the practice of admiralty and maritime law. We offer a free initial consultation at our offices or in your home. If you need legal counsel related to admiralty and maritime law, please feel free to contact us at your earliest convenience.